You can transfer a received call to a desired contact either after consulting with the contact (warm transfer), or without consulting (blind transfer). If the contact is on another call, they will see a call waiting with caller ID attached, and the call will follow the call handling rules set for the contact. Alternately, you can check the contact's presence status before transferring the call. If the status indicates the contact is busy, you can transfer to voicemail, or park the call and inform the contact via chat. How do I perform a blind transfer within my PBX? Blind transfer involves transferring a call to a contact without consulting. 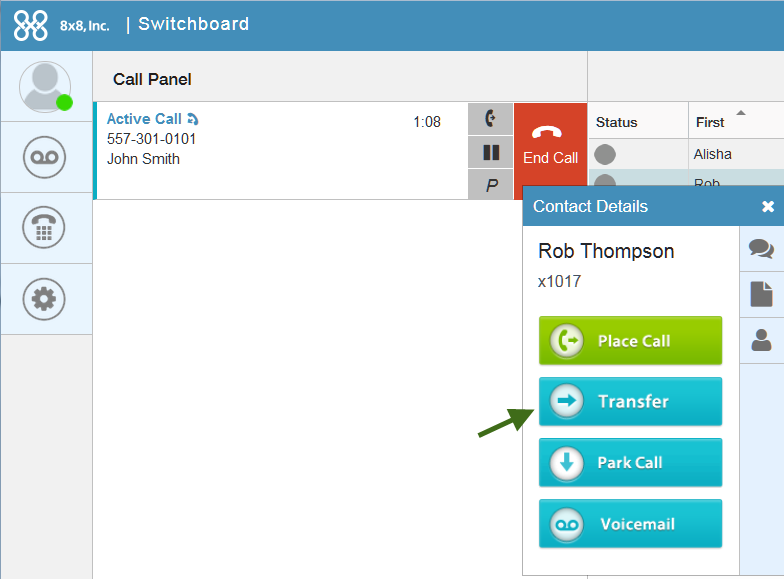 You can perform a blind transfer within your PBX via Contact Details, or from the Active Call menu. In the Contact Directory Window, select a contact to bring up the Contact Details. Click Transfer. The call is transferred to the selected contact. During an active call, click to transfer. At the prompt, enter a phone number to transfer to. Click next to the entered phone number. Wait to make sure that the transfer is complete. How do I perform a blind transfer outside my PBX? 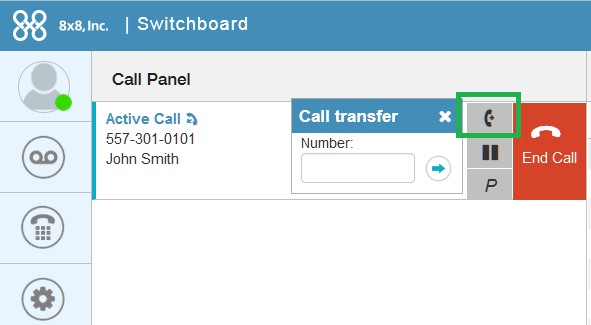 You can transfer an inbound call to any number outside the PBX; simply enter the destination number and click Transfer. Warm transfer involves consulting the contact before transferring a call. Put the active call on hold. A call is initiated to the desired contact. Once the call is answered, inform the contact about the call. In the On Hold tab, click to transfer the call. Note: If multiple calls are on hold, the transfer button is visible on all calls on hold. Transfer the On Hold call directly below the Active Call as shown above. You can transfer any call with a visible transfer button to the current active call. You can also consult by chat before transferring a call. Click to initiate a chat session with the contact. 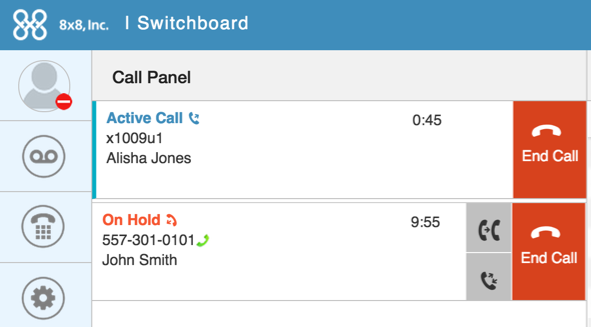 A chat box appears in Switchboard Pro. 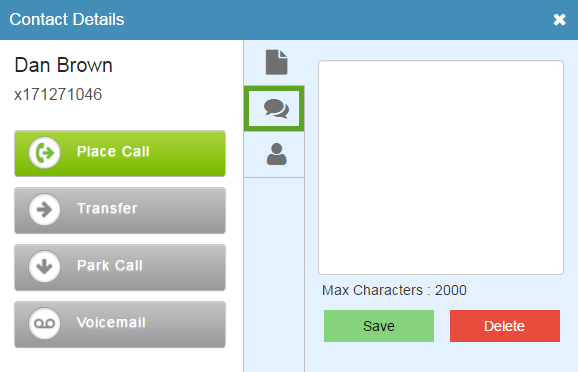 Enter a message to inform the contact about the waiting call in the chat box, and send.